Out-of-session work (collaboratively generated and negotiated) is an essential component of effective CBT. 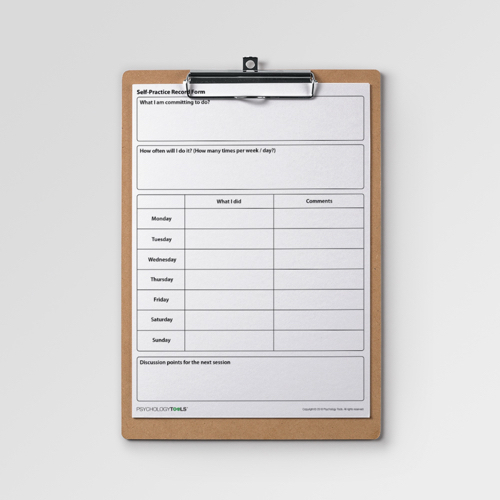 This Self Practice Record Form helps clients to plan and monitor extra-therapy tasks. 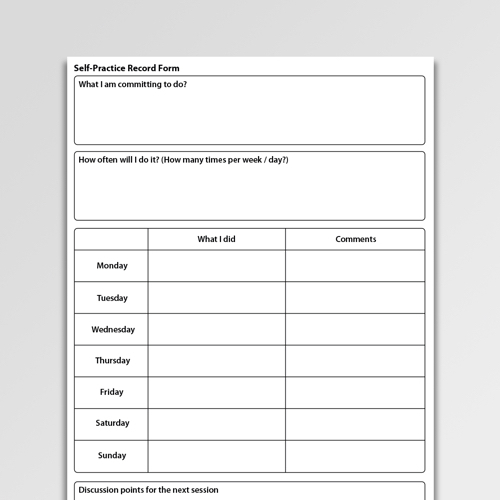 The Self Practice Record Form is a worksheet for recording out-of-session or between-session tasks in cognitive behavioral therapy (CBT). It deliberately avoids the use of the word ‘homework’ which some clients find off-putting. 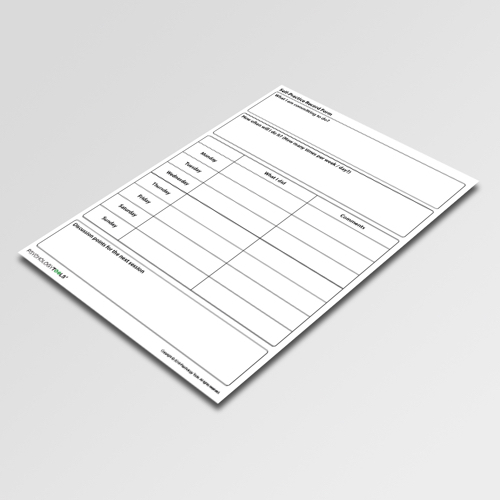 Out-of-session work (collaboratively generated and negotiated) is an essential component of effective CBT. For example, research has indicated that: “There is relatively consistent evidence from correlational studies to conclude that homework adherence is associated with significantly better outcomes” (Thase & Callan, 2006). Addis, M. E., Jacobson, N. S. (2000). 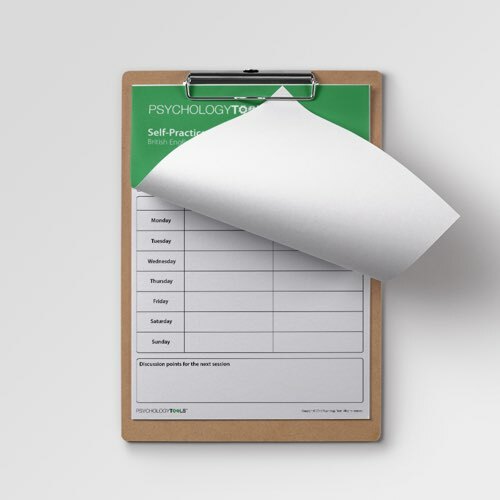 A closer look at the treatment rationale and homework compliance in cognitive behavioural therapy for depression. Cognitive Therapy and Research, 24(3), 313-326. Thase, M. E., Callan, J. A. (2006). The role of homework in cognitive behavioural therapy of depression. Journal of Psychotherapy Integration, 16(2), 162-177.